As we begin 2017 I want to ensure your priorities are our priorities, so my staff and I have put together a short survey. You can follow this link to complete the survey. Now, a recap of our busy January. 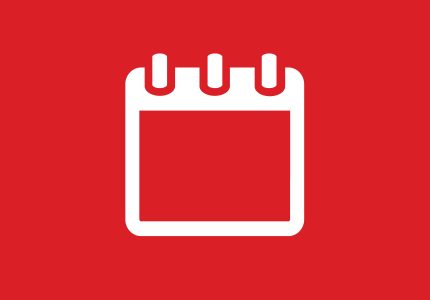 During our January 26th meeting, council passed a resolution extending the Red River outdoor music curfew to 12am on Thursdays and 1am on Fridays and Saturdays. This 6-month long pilot program will allow a few music venues on Red River to play outdoor live music just one hour later on Thursdays, Fridays, and Saturdays in hopes of supporting our coveted music scene. During the pilot program the city will be carefully monitoring for increased noise, responding to complaints, and looking for ways to mitigate the sound impact. In January we saw the roll out of the first draft of our revised Land Development Code. I cannot emphasize the word "draft" enough. As work continues toward a more effective LDC, you will have several opportunities have your questions answered and share your opinions. Community engagement is a key priority and outreach will involve everything from open houses and info sessions to online comment tools. For more information about community engagement follow this link - CodeNEXT Outreach and you can follow this link for a CodeNEXT timeline. Later this spring, our Public Works Department will begin work on a new sidewalk project along Felix Avenue and Club Terrace. This is a big step in improving pedestrian safety in District 3 and we couldn't be more excited to get these improvements underway. Below is a map with the improvements highlighted. 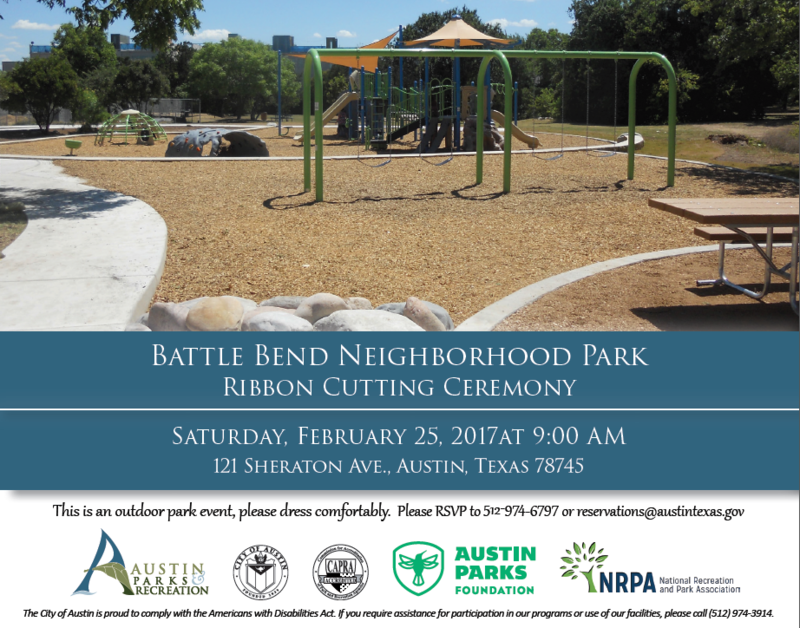 Austin Parks will be holding a ribbon cutting ceremony to celebrate the recent improvements at Battle Bend Neighborhood Park on February 25th at 9am. Confirmed speakers include city leaders and representatives from the Austin Parks and Recreation Department, Austin Parks Foundation, and National Recreation and Park Association. Hope to see you there! If this January was a day of the week, it would be a Monday. Currently, our President and Governor seem intent on playing a dangerous game of politics. But as everyday Austinites and our local elected representatives step up, I'm reminded how lucky we are in Austin. 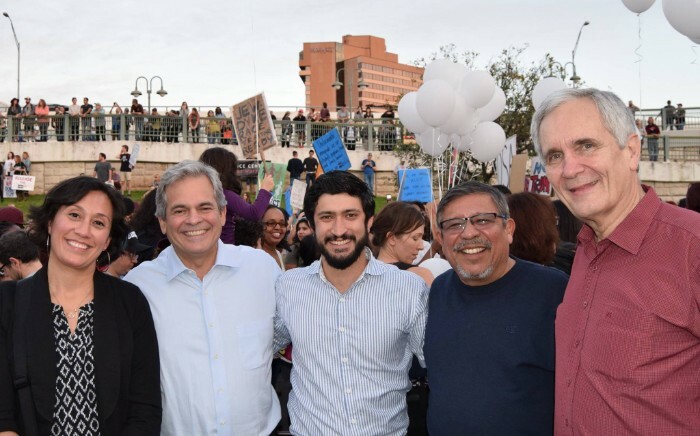 District 3 alone has Congressman Doggett, Senator Watson, Senator Zaffirini, Representative Eddie Rodriguez, and many more leaders helping us push back against an increasingly antagonistic federal and state government. In the fight to keep the progress we've made, we have a pretty great team. Last but not least, I want to say how excited I am to begin working alongside our newest team members, Council Members Alison Alter and Jimmy Flannigan. I have no doubt that they will serve as great advocates for their districts and be an invaluable addition to the City Council.